The Food-Minded Mama: Blueberry Mini Pies - Fun for me and the babes!! 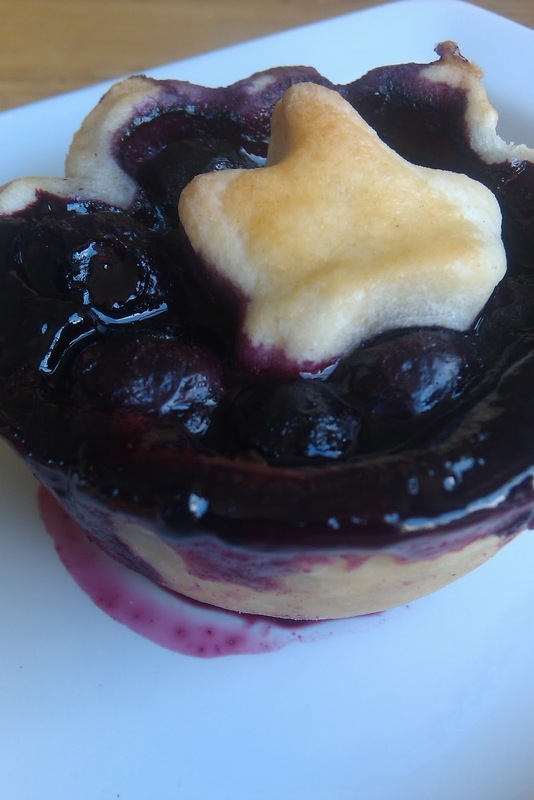 Blueberry Mini Pies - Fun for me and the babes!! 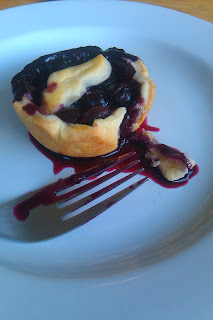 A friend of a coworker recently had a cookbook published called Mini Pies. I was one of the food bloggers and reporters asked to review the book and share my thoughts in an Amazon.com review as well as on my blog. Et Voilà!! I grew up watching my mom and Grandma making pies and have always been a little intimidated to make one myself because of how good theirs were; flaky crusts, tasty fillings, perfectly crimped edges. But when the opportunity came for me to try my hand at making mini pies, I thought, "What the heck!" And here I am. 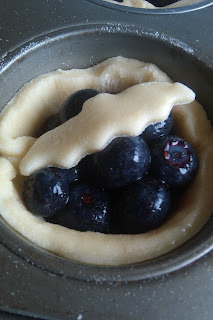 I chose to make the Blueberry-Rose Water Mini pie. It seemed straightforward and I had most of the ingredients in the house; save one or two. The only thing that I had to jerry rig was the 4" cut-out that the recipe called for in order to get the pie crust into the perfect, uniform size for the muffin cups. So, I improvised. I dug through my kitchen drawers with my tape measure in hand looking for round things that may be yay-big. I came up with the lid to a Pyrex dish (clearly used for Lorelei's lunch bag.) It was great, although next time I will find something that's 4 1/4" to 4 1/2"; I would have liked that the filling didn't dribble out so much during the cooking process... although that might just be user error. 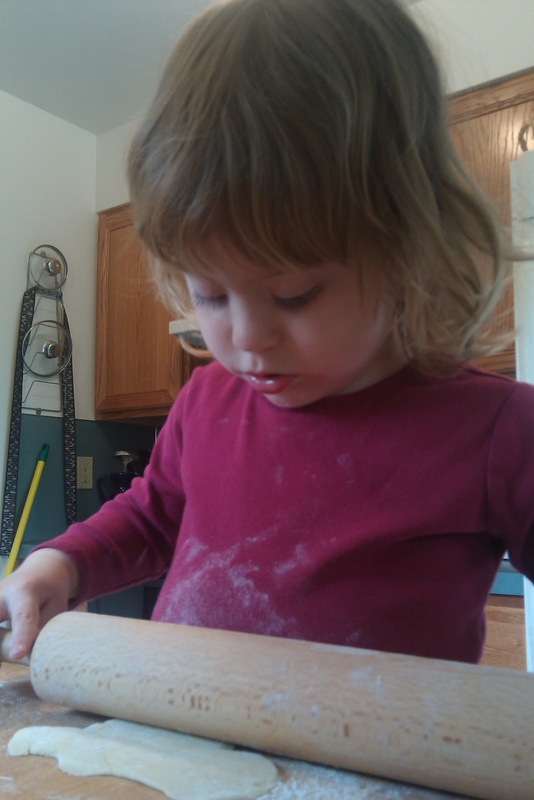 Lorelei had a blast helping to roll out the crust and cutting out Halloween shaped pieces for decoration. 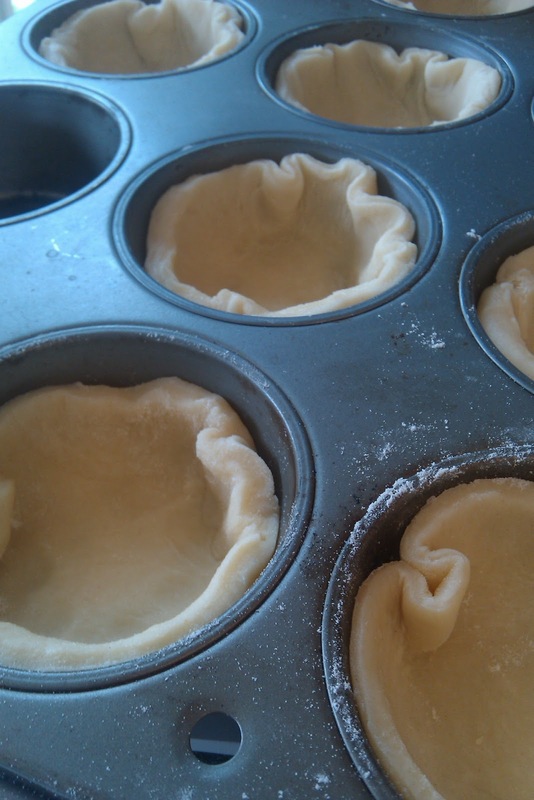 The twelve little pies cooked in 25 minutes at 350º in a muffin tin and turned out just great. The only problem with these pies and the simplicity of these recipes is that they are likely to keep showing up in my house and I won’t be able to give them away!! Oh!! Speaking of giving these pies away, I'll be doing a giveaway of this book next week. Stay tuned for details!!! If ever there was a time to include your kids in a kitchen project, this is one of them. Let your kiddo get in there and help you on this one. There are no raw eggs or anything that may carry bacteria, there is ample dough for the recipe (actually I have enough dough left over for four more pies at least). 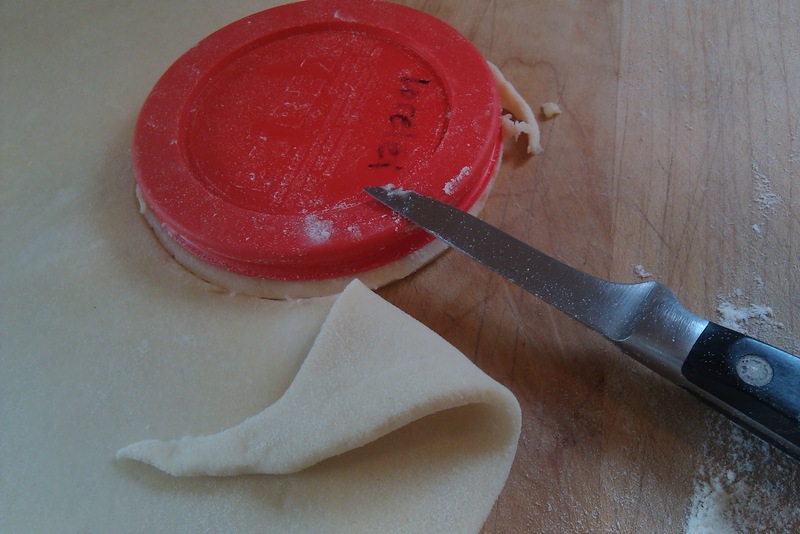 So let them have a rolling pin and cookie cutters and let them go to town!